Find out how to fill your plate with healthy choices. These days salad bars are everywhere, from your supermarket, the corner deli, your favorite steak restaurant and even the airport. A good salad bar is chock-full of delicious—and nutritious—ingredients. There are also some not-so-healthy choices and a few health impostors too. Read on to find out what to pick and skip at a salad bar. 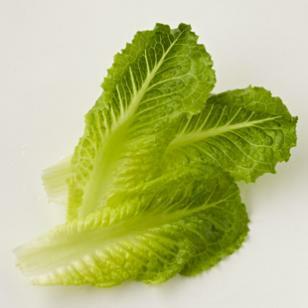 The standard salad-bar option of iceberg lettuce is very low in calories, only 8 per cup, but contains very few nutrients. Instead, opt for spinach, spring mix or romaine lettuce. They, too, are low in calories, but also contain folate, vitamin C and eye-healthy lutein and zeaxanthanin. Pile on the colorful veggies! Tomatoes, carrots, broccoli, bell peppers, zucchini and cabbage are all great toppings that deliver good-for-you antioxidants (thanks to their richly colored pigments) for very few calories. One vegetable to maybe put a cap on is corn: 1/2 cup has 88 calories (the same amount of broccoli has only 16). Don’t keep it off your salad plate altogether, though—this summertime favorite still has a substantial amount of fiber, folate and vitamin C.
Like vegetables, fruit tossed onto your salad will give you an added boost of vitamin C, fiber and antioxidants. 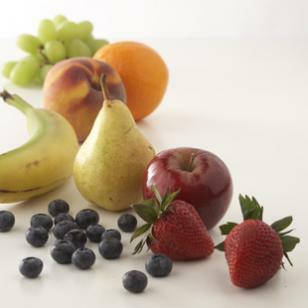 Some tasty and super-healthy options include berries, peaches, melon, apples or grapefruit. The key to adding fruit to your salad is going fresh: you’ll avoid added sugars and save calories by skipping dried and canned fruit. For example, 2 tablespoons of raisins and 1 cup of grapes both have the same number of calories. Studies show that eating protein helps you feel full longer so you don’t get hungry. Add lean chicken or a hard-boiled egg to your salad. A bonus for eggs is that they contain lutein and zeaxanthin, two antioxidants that help keep eyes healthy. Skip ham, which often contains a lot of sodium (three 1-ounce slices have more than 25 percent of the recommended daily limit). Good vegetarian protein sources include tofu and beans. A 1/2 cup of black beans contains nearly 8 grams of fiber and 8 grams of protein. Chickpeas are a common salad-bar topping and while they can be a filling, fiber-rich option, they’re a bit more calorically dense (1/2 cup packs 145 calories). Replacing creamy dressings, such as ranch (73 calories, nearly 8 grams of fat per tablespoon) and blue cheese (76 calories, about the same amount of fat), with a noncreamy Italian (43 calories and 4.2 grams of fat) or balsamic vinaigrette (45 calories per tablespoon and 4.5 grams of fat) practically cuts your calories and fat in half. The best option, if available, is to drizzle on a little heart-healthy olive oil (1 teaspoon has only 40 calories and 5 grams of fat) and your favorite vinegar (cider vinegar, for example, has just 3 calories per tablespoon). Cheese is another source of protein, which helps add staying power to salads. If possible, keep the calorie count down by topping your salad with low- or fat-free options. If only full-fat cheeses are available, pick ones with strong flavors, such as feta, blue, Parmesan or aged Cheddar—and count on just a little bit going a long way to keep the calories and saturated fat in check. 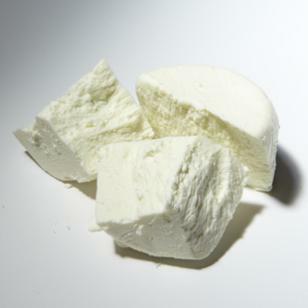 Of those more pungent cheeses, feta offers the fewest calories at 74 per ounce. Blue, Parmesan and Cheddar have 99, 116 and 113 calories per ounce, respectively. Be choosy when it comes to salad toppers. • Nuts and Seeds: Nuts offer healthy fats and some protein, but they’re high in calories, so pay close attention to how many you add. A small handful of almonds (22 to be exact) contains 169 calories and 14 walnut halves boasts 185 calories. You can be a bit more generous with the pistachios: one serving is 49 nuts, for 162 calories. For added crunch, try a sprinkle of sunflower seeds; while these also are relatively high in calories (47 per tablespoon), they contain healthy fats and are full of antioxidants too. • Olives: Olives are a low-calorie choice at about 7 calories each. They do, however, deliver a fair amount of sodium: depending on the type of olive, 1/4 cup could deliver as much as 717 mg of sodium. Go for green—they’re the lowest in calories and have the least amount of sodium. • Bacon bits: Two words: Skip these. Bacon bits—and similar add-ons, such as crunchy onions—look appetizing when you're standing at a salad bar, but they can be high in sodium and "empty" calories. • Croutons: Pass on these too. A 1/2 cup may contain almost 100 calories and 247 mg of sodium. If you must have croutons, choose ones that are whole-wheat or whole-grain.